Perfect for storing electronics and media accessories, this American-made TV console is just what your home theater needs. Traditional styling, with a rich cherry finish over maple solids and veneers, is the perfect combination for a timeless media console. Two outer cabinets provide fixed shelving to store your favorite movies and games. The lattice-style, tempered-glass cabinets contain adjustable shelving within, so you can display home-theater essentials right under the open media console shelf. Maple solids and veneers come together for a solid structure. 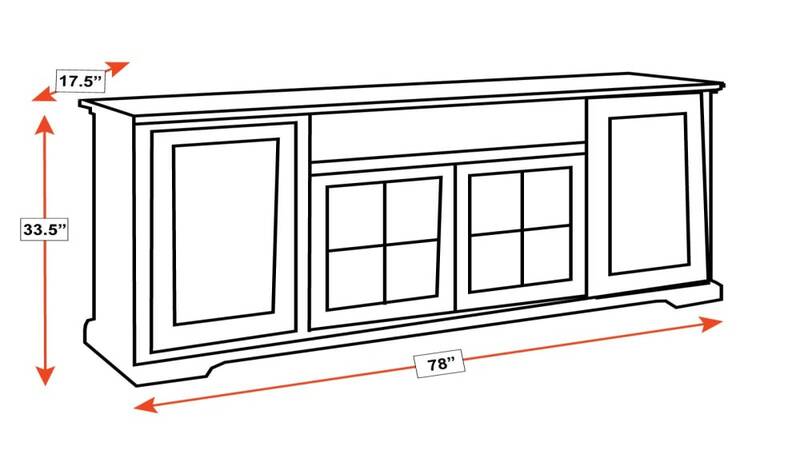 Four-paned, tempered glass doors allow you display your accessories. A multi-step cherry finish gives the wood a beautiful glow. Knobs feature a stylish, antique iron finish. Keep wires out of sight with the cord management panel. Now you can truly have it all: style, practicality, and quality. Take just one glance at this American-made TV console, and you will never want to buy imported again. Time and effort were devoted to crafting this piece carefully, instead of shipping it across the globe, and it pays off. Furnish your space with accessories that not only complement, but enhance the overall style. 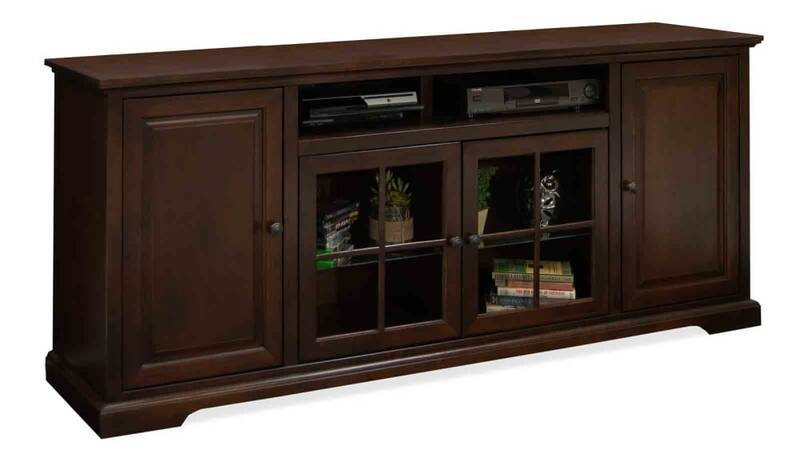 With Gallery Furniture's same-day delivery, this sophisticated TV console can upgrade your space TODAY!